With the recent opening of Bell Street Burritos in Westside, people are again eulogizing Tortillas, Atlanta’s original burrito joint. 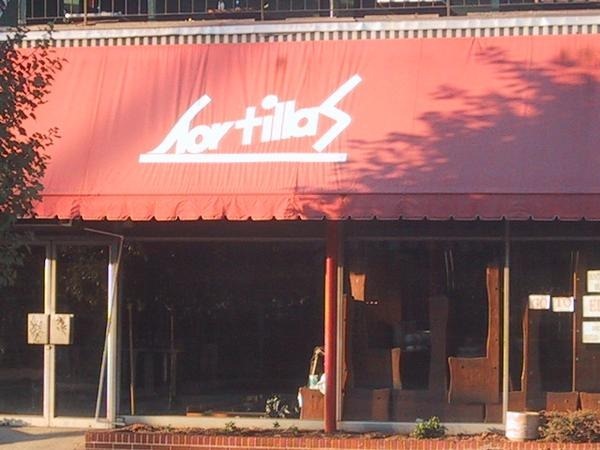 After shutting their doors in 2003, but before they set off into the sunset, Tortillas bequeathed one last gift to Atlanta’s Tex-Mex aficionados: some loose recipe guidelines on how to make most of what was made to go inside and on top of their much romanticized product. Long stashed on my computer, I thought today was a good day to share the handful of Tortillas’ recipes, so that you can make these San Francisco-style burritos at home. Check them out … after the jump! Ingredients: Haas avocados, red chili powder, ground cumin, garlic powder, black pepper, salt, vinegar. Add the spice mixture in this ratio: 6 parts red chili powder, 5 parts ground cumin, 2 parts garlic powder, 2 parts black pepper, 3 parts salt. Ingredients: 1 part canned tomatillos, 1 part canned jalapeño slices, fresh cilantro, fresh onion. Blend in a food processer until the desired texture. Process: Combine and blend that stuff! Ingredients: dry beans, salt, chili powder, cumin, garlic powder, black pepper, vegetable oil (2 tbls. per lbs. of beans). Do not presoak beans but do remove stones, etc. In a pot, combine beans with 7 parts salt, 5 parts chili powder, 3 parts cumin, 2 parts garlic powder, 2 parts black pepper, and vegetable oil. Cover beans with water (just above the level of the beans) and bring to a simmering boil. Cook for 3 to 4 hours (less if using black beans). According to the “recipe”, the shrimp was covered in guacamole spice; the potatoes and tofu were marinated with the red spice. The steak was marinated for a day using equal parts vinegar, water, corn oil, and red spice. Red Rooster was usually added and sometimes the guacamole spice was swapped for red spice. Noted: I have no idea what they mean by guacamole spice and red spice.